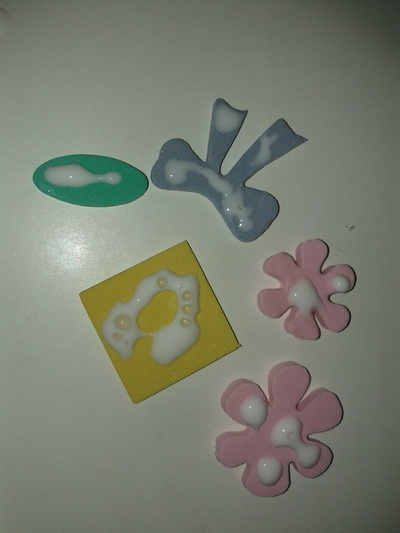 With Easter school holidays coming soon, here is a fun activity to keep the little ones busy. 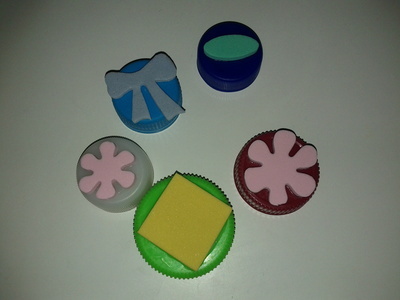 Let the kids make their own stamps using plastic caps and some craft foam shapes. 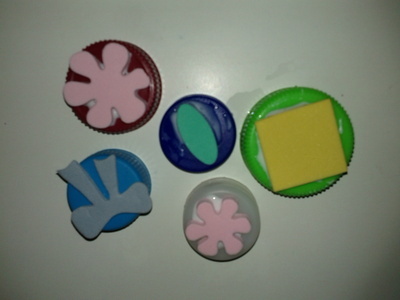 The stamps are really simple and fun to make. 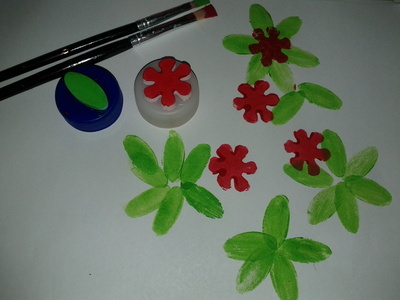 Use them to make some nice paintings. 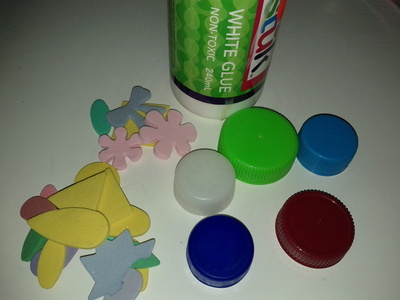 Put glue on the foam shapes and stick on top of each cap. Put aside and let dry completely (around 30 minutes). 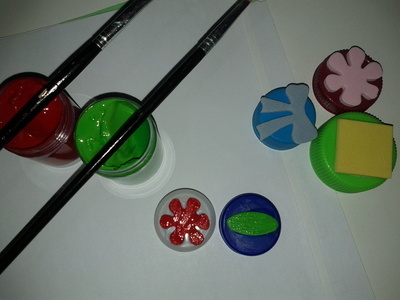 Once the stamps are ready, use watercolours to make some beautiful paintings.